NTG’s NTS product suit is a complete end-to-end OSS/BSS solution that helps organizations bridge the gap between business and networks, boosting the experience with converged services and reliable operations. NTS is an enterprise-wide OSS/BSS solution that seamlessly integrated telecom operations and networks, enabling the delivery and support of any digital product or service offered. 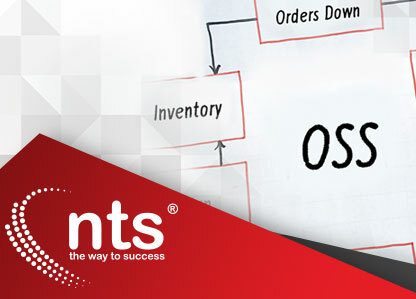 NTS covers the full scope including CRM, Product Catalogue, Order Management, Trouble Ticket Management, Workflow Management, billing, and much more. NTS product suit is highly integrated, based on latest technology, and follow best industry standards and practices. You get it all in one place and customized to your needs. NTS products cover a variety of industries; Telecommunications in particular. NTS pre-built solution is developed & deployed for faster execution and to gain maximum industry alignment. NTS products are generally simple, easy to setup and efficient to maintain. Customer Care and Service Fulfillment suites provide comprehensive information management for your products/services and customer data. Accurate, accessible information and workflow enables your sales force and customers by offering rapid service modeling and flexible order captures by different channels. It can be integrated with flow-through provisioning and service billing while providing centralized customer information and service catalog access. The customer care suite includes Customer Relationship Management (CRM), Order Management, product & services catalogue. CRM module manages customer information, contacts, addresses, prospects, and business leads. CRM also allow you to create in-depth customer profiles and to monitor all customer-related activity, orders, services, and project history. Order Management module organizes and automated all order management processes and helps you manage and track your customer’s orders from purchasing through receiving. All possible order types can be created including new orders, service orders, terminations, and billing changes. Large numbers of customer requests can be processed quickly and accurately, regardless of whether they are generated; by order agents, field sales, call center, web store or electronically. Product & Services catalogue is used to maintain all product/service information and to define the relationships, dependencies and/or prerequisites among the products and services that determine how and what is sold to your customers and how much they are charges. It uses a parents/child structure to help define how you bundle, price and discount components, based on your organization’s business logic, pricing structures and marketing and sales requirements. Engineering suite supports any environment from telecom and financial services to manufacturing, under NTG’s integrated OSS solution. NTS Engineering helps manage the flow of information and organizes businesses to enable manual or automatic completion. The Engineering suite includes Workflow Management, Site Build and Planning, Network Discovery & Reconciliation, Network Design & Inventory, IP Management. Workflow Management module manages the complete workflow or life cycles from initiation to service delivery. Workflow management module caters to two fields: one that is network-oriented (NPM) for upgrades, equipment moves, site audits; and the other for customer-oriented (CPM) for plan automation, processes as implemented through customer projects. Site Build and Planning module contains the processes and tools that allow you manage all stages in the planning and development of networks; data and voice. With SBP module, you can build templates that include everything from a standard bill of materials, ordering equipment and determining costs to the process of site implementation and final acceptance of planning a new site build. The user can track all the tasks required to build and maintain a site, including: civil work, site acquisition, site design and classification, deployment and tower specifications. Network Discovery & Reconciliation module is the answer to keep track of physical and logical resources directly from the network in a non-intrusive and automated manner. It provides a unified view of customer services and associated logical facilities over multi-vendor, multi-technology networks. It also allows you to discover your physical network hardware, connections, and services and reconcile them with the inventory stores in your company’s database. Network Design & Inventory module improves every aspect of data and voice networks, from planning and design to on-going maintenance. Combined with network discovery and reconciliation, it supports network audits for data integrity and accurate inventory facilitates engineering design and allows timely service provisioning. It also allows you to design new sites, and remove equipment as required, and search and track inventory down to the port level. Billing and finance suite improves end-user experiences by providing real-time information, enabling you to better manage customers and their requirements. It provides an interface to other accounting and financial systems, as well as full invoice generation and design. The Billing and Finance suite of NTS includes pre-paid and post-paid billing, and financial reporting via analytics, reports, and dashboards. NTS Billing systems process network equipment usage for products and services. The billing process involved receiving billing records from various networks, determining billing rates, calculating the costs for each billing record, combing these records periodically to generate invoices, sending invoices to the customer, and collecting payments received from the customers and associated .